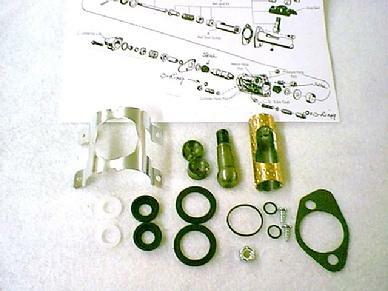 This is a Complete Power Steering Rebuild Kit for all 1964 1965 1966 Mustang. Comes with Parts Break Down sheet, and rebuild sheet. This is a Complete Power Steering Rebuild Kit for all 67 68 69 70 Mustang . ALL New Control Rebuild Kit (Brass Sleeve, Ball Stud, Ball Stud Seats, All Seal, and Gasket, O-Rings, Grease seal, Grease seal shield. 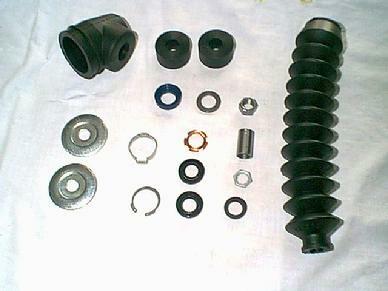 This Power Cylinder/Ram Rebuild Kit has BOTH Boots, the Stud Boot, and the Accordian Boot. Both Seals, Steel Concave Washer, Wiper, Wiper Retainer, Clip Ring, Both Cushions, Both Washers, Both Nuts, Cushion. Comes with Parts Break Down sheet. 1962 1963 1964 FORD POWER STEERING PUMP (EATON) RESEAL KIT. 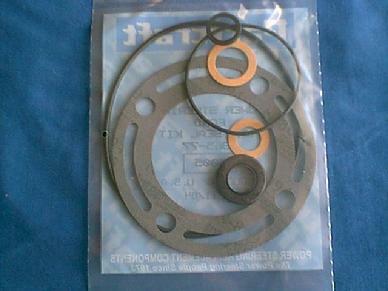 This is a correct EATON Power Steering Pump Seal Kit. Fits all 1963 1964 EARLY 65 Falcon Fairlanes Comet A Early 65 Mustang, Full Size Ford Eaton Pump from late 50's through 1964. 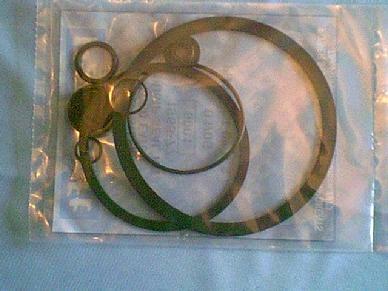 This is a Thompson/TRW Power Steering Pump Reseal kit. Fits all 65 66 67 68 69 70 71 72 73 Mustang Cougar Torino Montego Cyclone Comet with the Thompson TRW Pump. This is a BRAND NEW Steel Support Bracket. Hole are not enlargened (Rattling Pump), Not Bent (Improper belt alignment), as MANY of the old originals are. Attaches, and Supports the Power Steering Pump to the motor on all 289, 302 Motors from 67, - 69. Show ready (Never been used). See our other Auctions, Items, Store for More Vintage Mustang, FORD, Items. 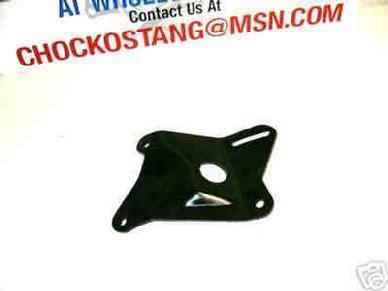 Our Main Business is Power Steering, Brakes (Drum/Disc) For the Vintage Mustang, Fairlane, Comet, Cougar, Etc. If you need these items, please write, call.